FOR SALE2019 MONTEREY 258 SSCURRENTLY OUTSIDE BUT IT CAN BE MOVED INSIDE OUR HEATED SHOWROOM FOR YOU TO VIEW IN COMFORT!PRICED TO LOW TO ADVERTISE, PLEASE CALL OR STOP IN FOR BEST PRICE ON THIS 2019 MONTEREY 258 SS!Payments as low as $788.00 per mo o.a.c. 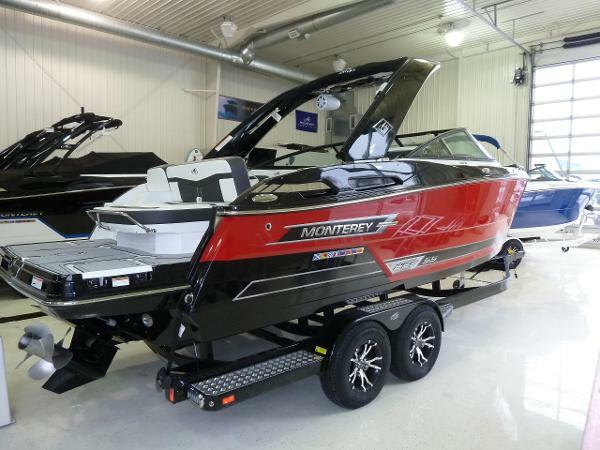 2019 Monterey 258 SS, an absolute must see if in the market for a 25 foot Open Bow Sport Boat! 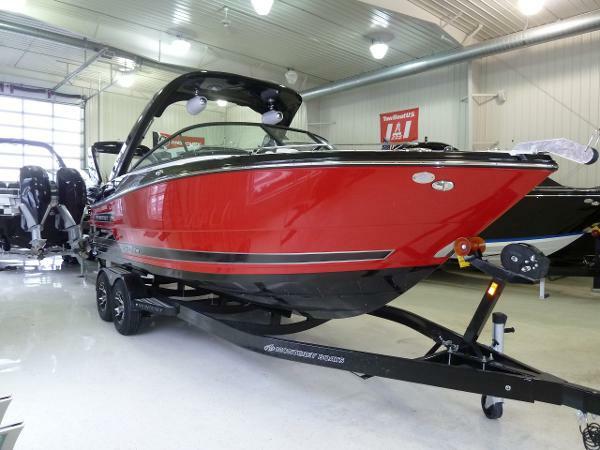 The Rio Red Hull Sides with the Black Bottom & Deck Shear is a Beautiful Combo with a Hot Rod attitude (And check out the SS Graphics, they add a lot of Style to this Boat!)! 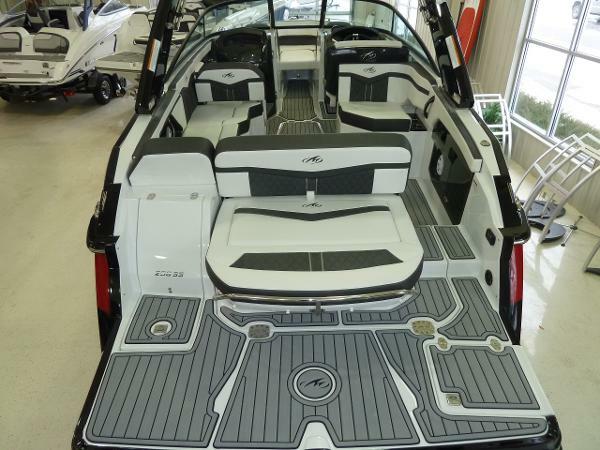 This boat truly has the appearance of a modern day muscle car on the water! This boat is deep, wide and heavy offering a smooth quiet ride that any Captain & Crew will enjoy! This boat is full of notable features, some that stand out include a Stainless Bow Scuff Plate, Stainless Docking lights, Stainless Pull Up Cleats, Stainless Rub Rail, Stainless Cup Holders, Premium Helm Seat, 12" Medallion Digital Helm Display, Battery Charger, Black Electric Arch with Cone Speakers, Bow Block Off Door, Sea Deck Swim Platform and Cockpit Flooring, Pump Out Porti Pottie, Bow Boarding Ladder, Bow & Cockpit Covers, Bimini Top, Cockpit Table, Transom Stereo Remote, Port-side Aft or Forward Facing Lounge & Built In Battery Charger! This boat is powered by a 300 HP 6.2L MerCruiser with Bravo 3 Drive, offering a great balance between Performance and Fuel Efficiency!